NEW LOCATION! 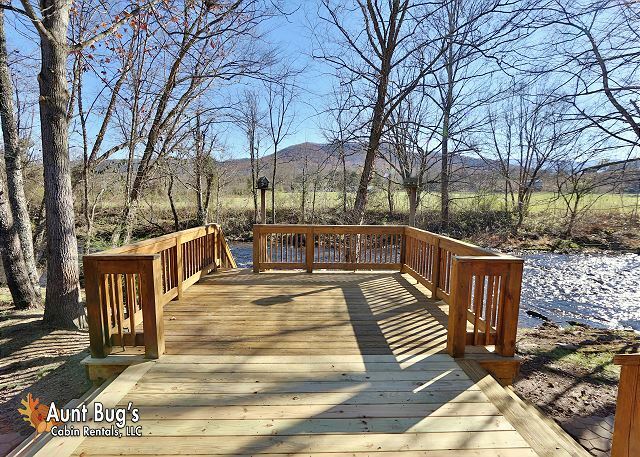 Amazing Heavenly Creekside is on the quiet side of the Smoky Mountains, where you can fish from your very own deck!!! 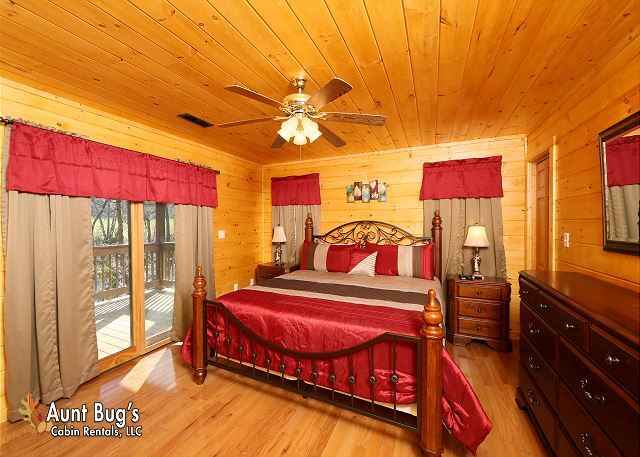 Just 20 minutes from downtown Gatlinburg, this wonderfully maintained two bedroom with additional guest bedroom, two bath cabin is right on Cosby Creek. 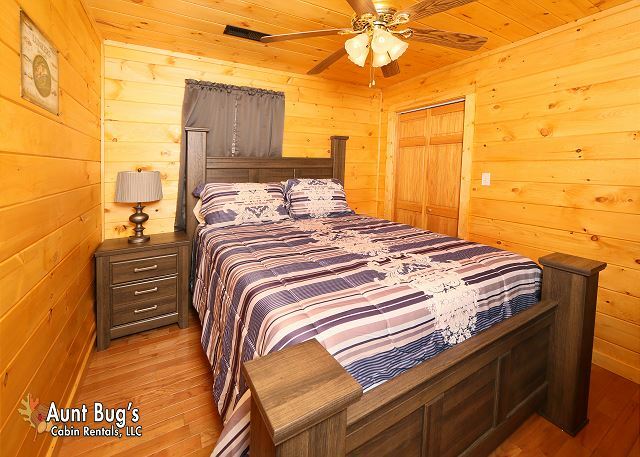 This beautiful two bedroom cabin features a bonus bedroom (3rd), multiple TV flat screens, pool table, stand up arcade and hot tub with a full length covered porch along the back of the house, plus an open deck with steps going down to the creek make this cabin the perfect sanctuary for nature lovers and fishing enthusiasts. 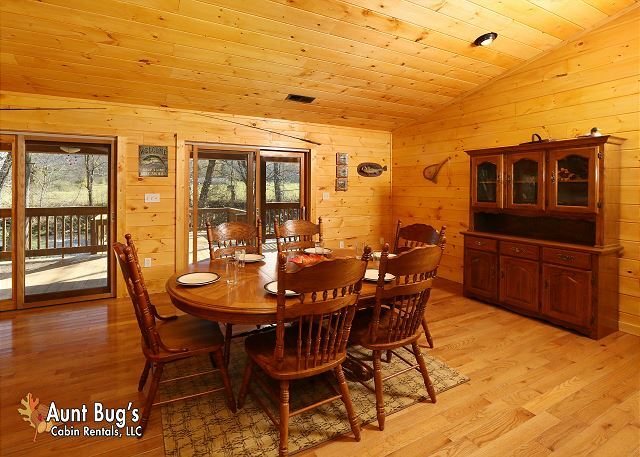 In addition, this spacious cabin offers WiFi internet access so you can bring your laptop or Ipad. 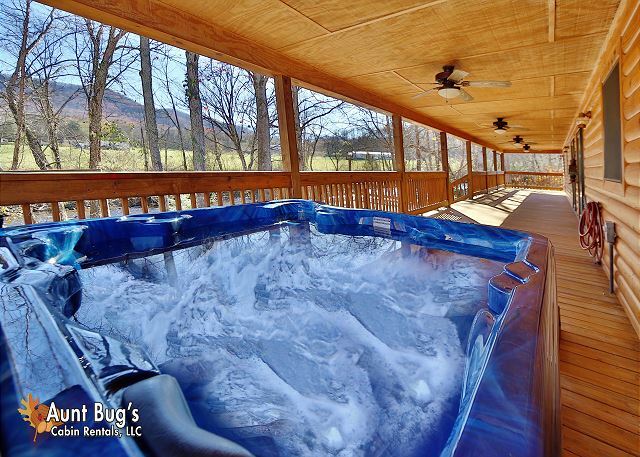 Book newly-furnished "Heavenly Creekside #276" today for that special vacation getaway with families or friends. 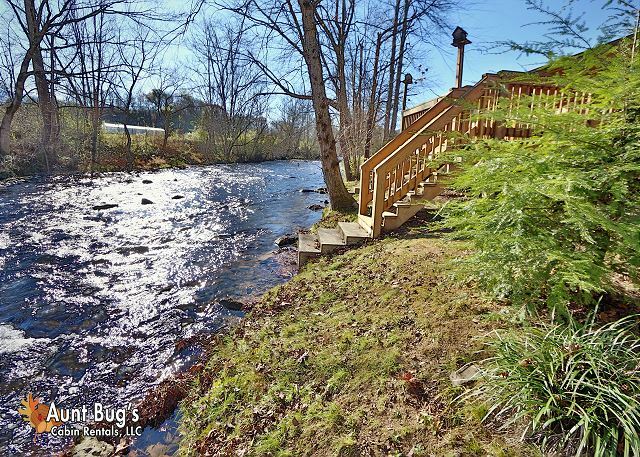 Enjoy the PERFECT vacation on beautiful creekfront property! 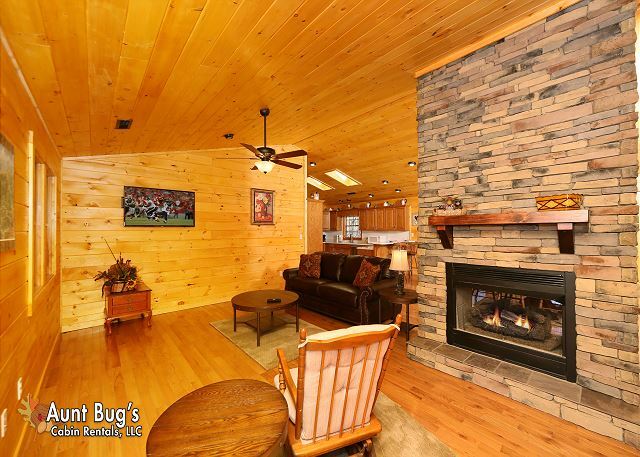 Peaceful location with large deck, great game room, & top grade furnishings! 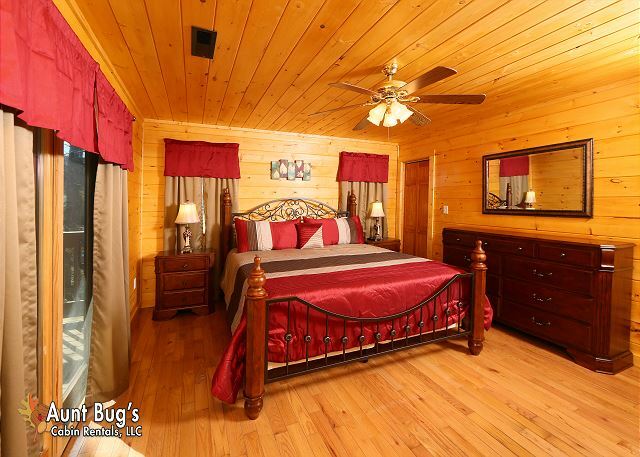 Rate is based on 4 adults, each additional adult is $12.50 per night. Very nice, clean and roomy. Loved it. Loved the place. The cabin is hidden away and difficult to find, directions from the main road should be provided. Quiet, peaceful, loved it. Look forward to the next time we can go. What a pleasant surprise when we pulled up - it didn't look like the picture on the web site. The trees were fully developed, nicely landscaped and not at all what we expected. 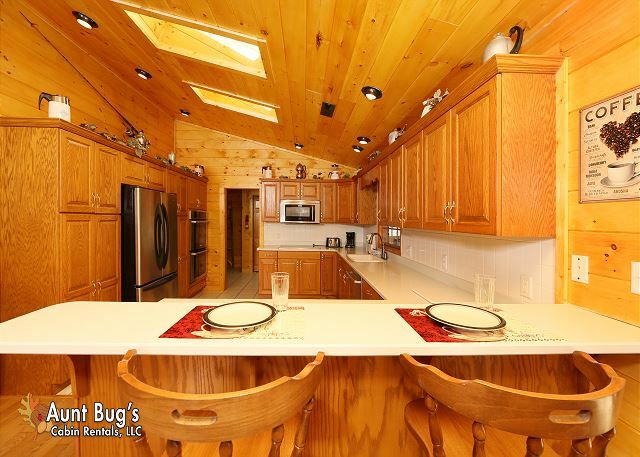 Well appointed cabin, clean and spacious. 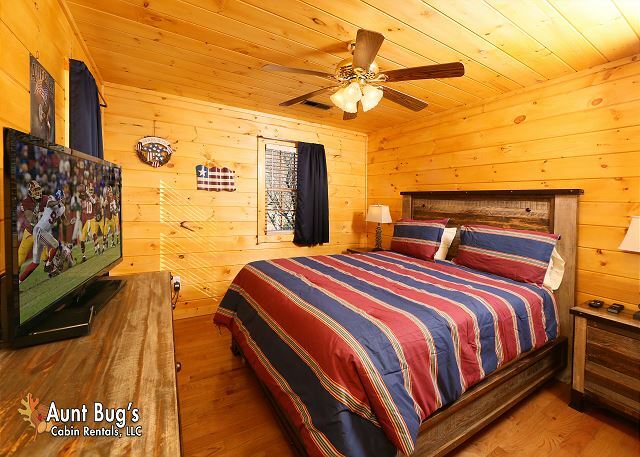 We loved opening the slider in the bedroom and listening to the creek early in the morning!It was a bit far from town, but well worth the trip. We enjoyed the privacy and solitude away from the tourist trappings of Pigeon Forge and Gatlinburg. Easy drive to and from the towns. The creek was beautiful. One of the best vacations our extended family has ever had. Plenty to see and do - needed two weeks! Highly recommend Heavenly Creekside. Evidence of something bigger than me surrounds you in this tranquil spot of the Smokies. My parents brought me to these mountains as a child with my grandparents. I have now returned with my grandchildren and I feel so close to nature and my lost loved ones here. Just the spirit of the family felt in the Smokies makes me feel rejuvenated and relaxed. Best get away we had in years. 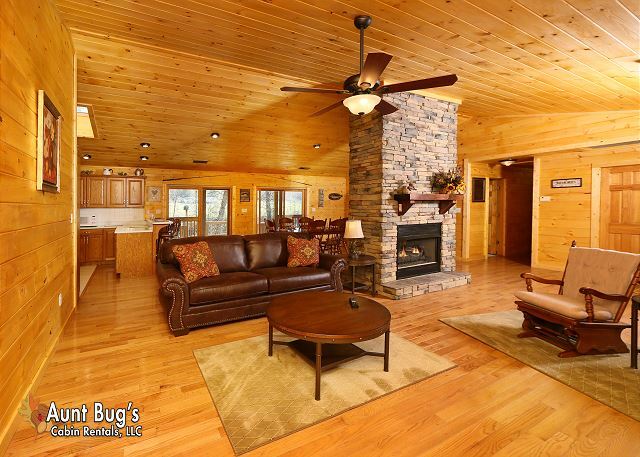 Cabin and property are perfect. Very clean, beautiful, and comfortable. The creek, that looks like a river, runs right up to the steps in the back. Across the creek, we enjoyed watching the gorgeous horses and even saw white tailed deer! Excellent get away and can’t wait to go back! We loved heavenly creek side. 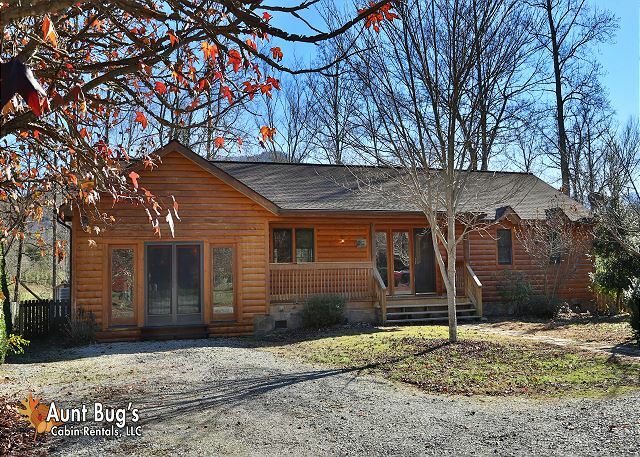 It is about 30 minutes from gatlinburg. That was only drawback. The cabin was nice. There's a pool table that was a lot of fun. My 9 year old son loved it and the stand up style video game. The view out back is beautiful with the stream flowing .we did fish but the water is flowing too fast and we didn't even see any fish but is beautiful and peaceful. 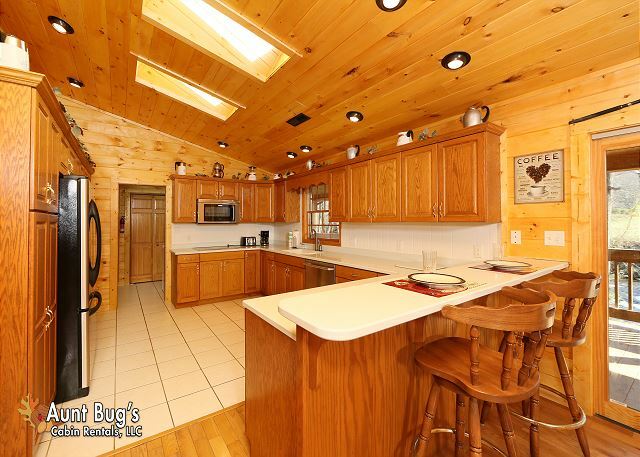 There were a few ants on the counter and the skillets were worn out but other than that and remember this cabin is a whole 30 min from gatlinburg, the cabin was great! Wonderful cabin for our trip. Had everything we needed for a relaxing trip. Will certainly book this one again if possible. This place was by far the best and most relaxing place to visit. The cabin was a bit far out but well worth the extra drive. It was well equipped and enjoyable. The only thing I could find wrong with this cabin was outside lighting at the creek bank would be nice, the porch lights don't reach far enough out. Thank you Aunt Bugs for a Super Great mini Vacation. 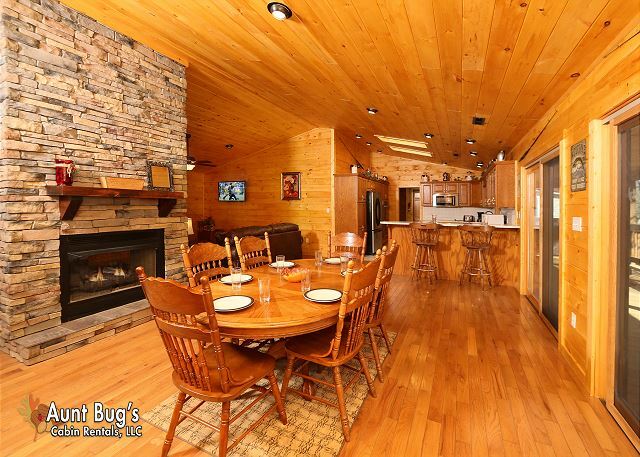 We had a blast in this beautiful cabin! We can't wait for our next visit! On arrival we were amazed. Going through Gatlinburg seemed a much easier route to travel than brining us into Crosby from Pigeon Forge. The mountains are beautiful but going through several twists and turns whenever you have driven for hours is tough. We had such a great time at the cabin that we spent a lot of time playing in the creek and sitting around the deck and looking at the mountains. the kids and grandkids had a good time here as well. Magical memories were made here. My parents took me to the Smokies with my Grandparents and now I have done the same. My granddaughter made the comment that God made the mountains and they are still there today just like they were when I was a little girl 50 years ago. Several times I heard that they felt God here. What an awesome comment to hear and feel as grandparents getting away from the everyday tech and rat race. We played cards and board games daily. I appreciate the opportunityto vacation in a peaceful place to gain serenity and fill up our coffers. Thank you for a place to stay that helped us do this as a family! The only problem was the washer did not work day one. Well kept, clean, and beautiful view . 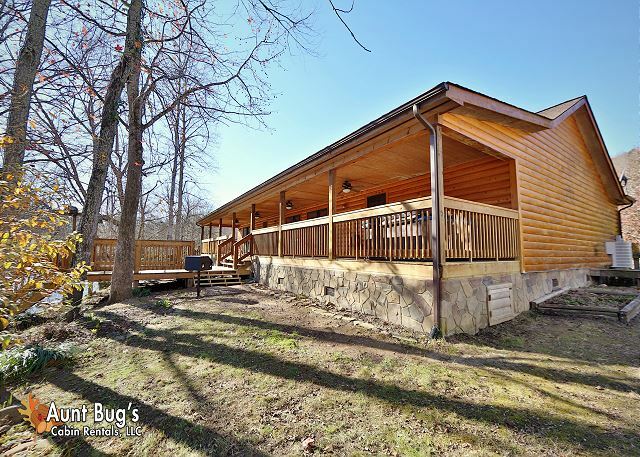 It's a nice location and had everything needed except I wish they had more outdoor chairs for front porch and back porch. I would recommend this property. Great cabin, great service, wouldn't change a thing. We'll rent again from Aunt Bug's! The maintenance gentleman was very nice on giving us directions to the cabin when we got lost. He stayed on the phone with us until we reached the cabin safely. Over all the cabin was very nice. However, the hall bathroom shower was duct taped on and the drain ran very slow. There were ants in the kitchen. Was told that they only picked up extra garbage once a week - which was not stated in agreement. It said to just call and they would pick it up if cans were full. Cabin needed some general maintenance. I would stay there again however. Great experience from booking over the phone, to check-in, to check-out. 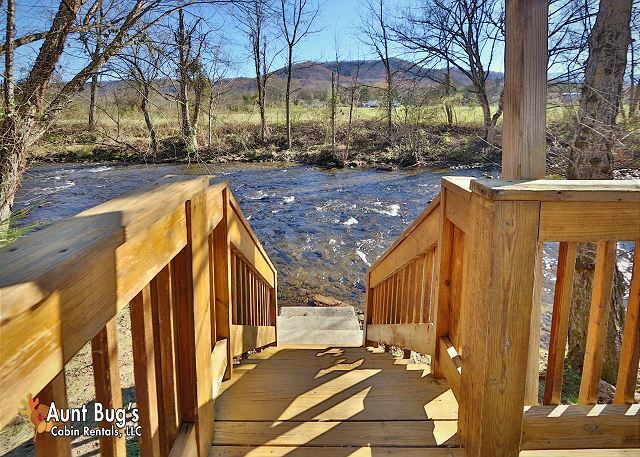 Heavenly Creekside cabin was beautiful & loved sitting on the back deck listening to the creek go by. Everyone that I dealt with was very very friendly!! 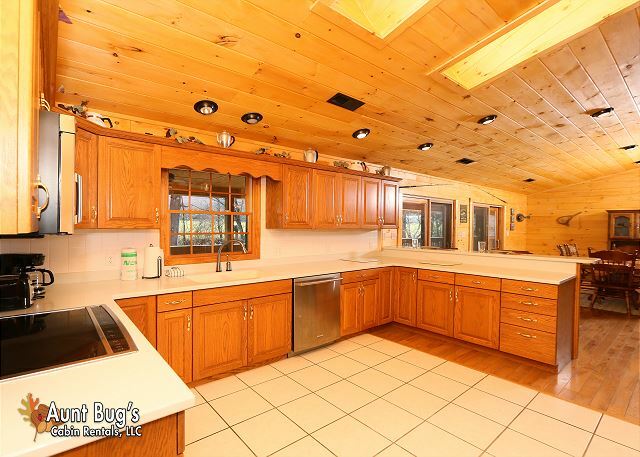 The cabin and property were gorgeous! Very spacious,clean and well appointed. Except there was no liquid measuring cup. The top oven was not working properly, the microwave over the cooktop didn't work and we had no instructions on how to operate the cooktop. We managed to figure it out! We were very pleased with our stay and would enjoy coming back. There was so much to see and do in the towns and it was great to come back to a hot tub, large covered porch, deck, etc. 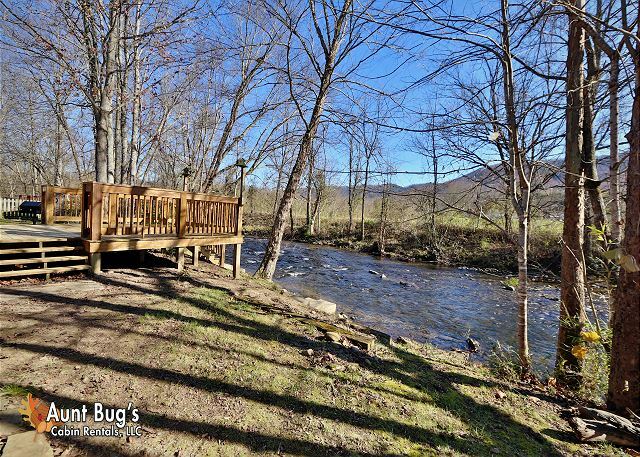 We like the privacy and solitude and listening to the creek gurgle along. 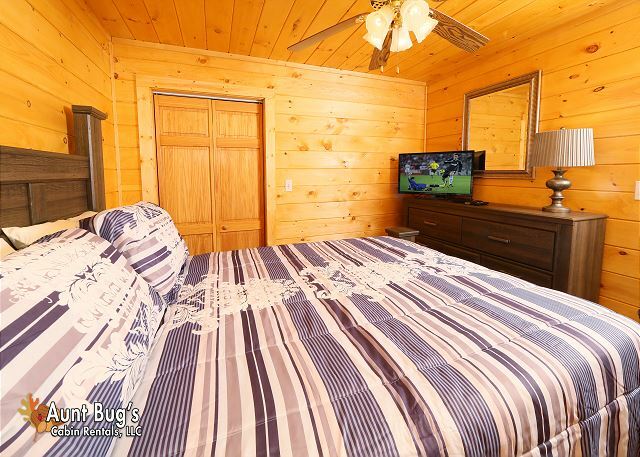 You need to update the pictures on your web page though - they look REALLY different from the actual cabin. It was a nice surprise to find it as it is now. Our daughter and her family like it as well. It was a restful, beautiful, enjoyable week - one of our best vacations ever. Thank you!! Enjoyed our stay. Screen on doors were torn. Hot tub water was smelled, needed maintenance. Would pick a cabin closer to town next time. I really enjoyed the stay at the cabin. 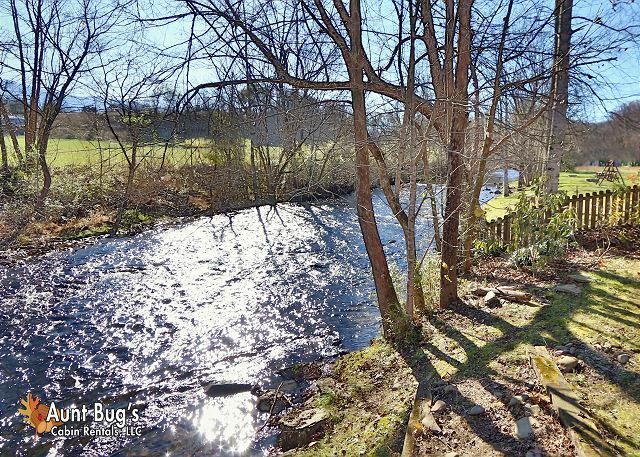 The creek was a big selling point since my kids are avid trout fishermen. Really, the lack of trout in the stream would be the only downfall. They did have luck in the little pigeon river though. 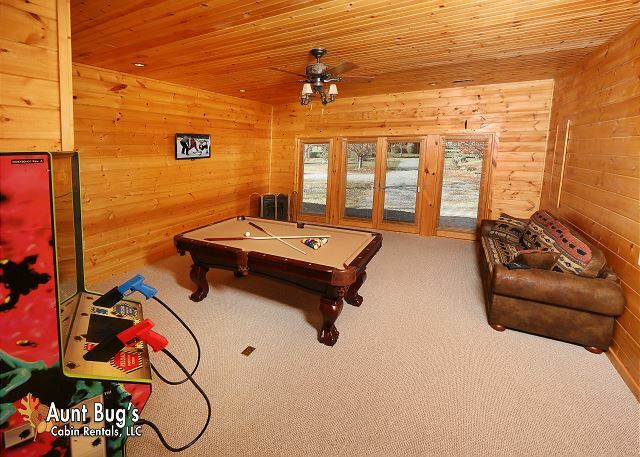 We loved the layout of the house and the game room, but the landscaping could use some attention. This year we have stayed twice and we are returning again in July with our children and grandchildren. 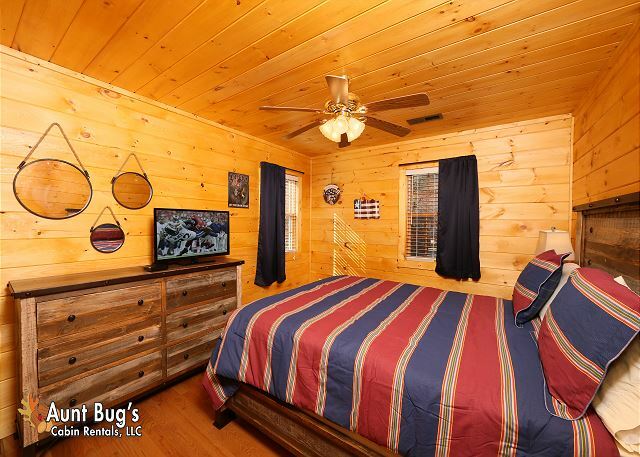 Cabins are very clean, they have thing you need for a large group. Overall cabin and location was very beautiful. Steven showed professional courtesy and was a tremendous asset to our tour of the area. Awesome setting for my children with Autism. It made their day to have a creek for their as we call it #CreekScaping #CreekArt. Very quiet and peaceful. A little tricky to find at first, but well worth the search. Plenty of room for my large family! Close to Wal-Mart for all the necessities. We had a great trip! Everything was great and clean. 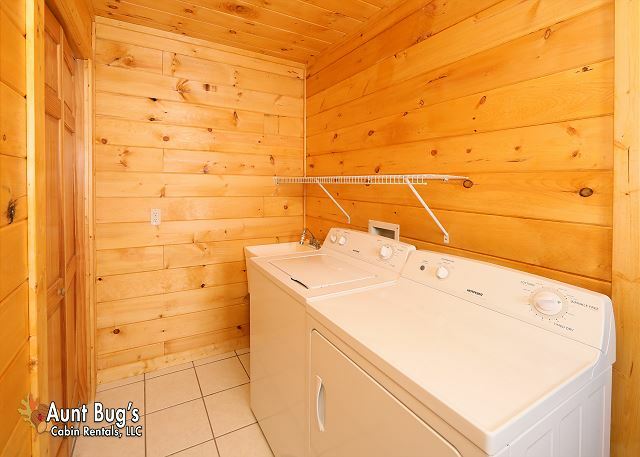 We can't wait to rent again from Aunt Bug's. Thanks. The amenities in the cabin were amazing. The items provided were beyond my expectations: spices , dishwasher, and can openers to name a few. The creek was refreshing and added so much to an experience that was already great. I definitely intend on going back. Cabin was beautiful. Getting there after hours was a little confusing only because the app gave the cabin address, not the office address... and the office address was about an hour away that we had to drive at 1 am.